The Energy Storage Tax Incentive and Deployment Act would cover energy storage and battery sites at either commercial sites or behind-the-meter applications. 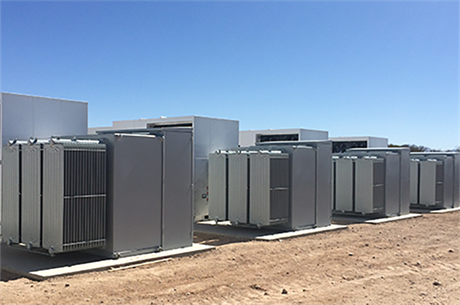 Current ITC parameters only support battery storage projects that are paired with solar developments, and, even then, only under certain circumstances, according to the American Wind Energy Association (AWEA). At AWEA’s 2018 Windpower conference in Chicago, Kelly Speakes-Backman, CEO of the US Energy Storage Association (ESA), told delegates storage is the "critical hub" for a more sustainable grid. "Storage is like the bacon of the grid — it makes everything a little better," she joked with the audience, adding, "Storage is fabulous because it has a lot of potential revenue streams." An ESA whitepaper, produced in partnership with Navigant Research, showed a pathway to 35GW of energy storage in the US by 2025 from less than 1GW today. Following the introduction of the latest bill in to the US legislature, Speakes-Backman said: "If enacted [this legislation] would immediately boost investment in the energy storage industry and create even more economic opportunity." "It is a simple and impactful clarification of the current investment tax credit that would ensure equitable access for standalone storage and send long-term investment signals to an industry that supports tens of thousands of jobs nationwide," she added. AWEA CEO Tom Kiernan added his association’s support for the bill. "Like the power transmission lines that make up the grid, energy storage is a catalyst technology that makes the entire electricity supply more affordable and reliable. "Expanding investment tax credit eligibility to all energy storage technologies would spark new clean energy infrastructure investment, grow American jobs, and help ensure our electricity supply is ready for future challenges," Kiernan said.